Over years one of our major accomplishments, which we are proud of, is a close business relationship with our customers at global scale. With a "Tool" of trading business, we have been not only economically but also culturally contributing to the area where our customers live, which leads to the firmly-established business network in the region. 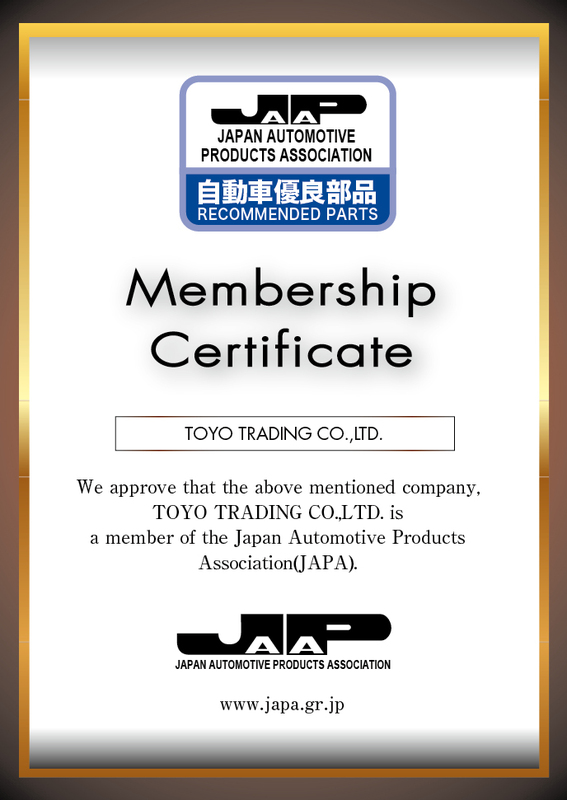 Thanks to continuous effort and success, our name "Toyo Trading" is currently familiarized among the local customers. Especially in the region of The Middle and Near East, our reputation has been spreading throughout as the most reliable business partner from Japan. Still, our business network is expanding from African countries, CIS, South-East Asia, West Asia, Oceania, South-Central America, Russia, Mongolia and more. That's how our ambition of business expansion would never stops! A Variety of Japanese Top Brands Auto Spare Parts, Car Accessories, and Automobiles Chemical Items are our business line. We are importing automobile component parts for wide range of vehicles as Replacement Parts and providing to Japanese top brand manufacturers.